Everyone deals with stress from time to time. Some of the things that trigger stress are completely unexpected and beyond your control, but there are also many potential stressors you can do something about. Here are four ways you can eliminate unnecessary stress from your day. Whether you’re at work or interacting with friends, perhaps you find yourself always agreeing and saying “yes” to make people happy. It may seem like like by doing that, others will see you as a helpful, flexible person. Sometimes that’s true, but if you’re always trying to please others, you may end up frustrated and stressed out. Change your ways without alienating colleagues and chums. Set boundaries and give reasons for doing so. For example, you might say, “Sure, I can proofread your presentation slides, but only after three today, because I need to finish this spreadsheet.” That way, people can digest what you’ve told them and make further decisions about whether to rely on you or recruit someone else. By taking this approach, you’re still coming across as accommodating, while letting others know your limits. Sometimes, it can be the little (or the really big) things that stress us out. Recognizing what is causing the stress is the first step, and then coming up with a plan of action is the next. If the traffic on your morning commute is stressing you out, find ways to avoid that stress. There are plenty of apps to help you avoid traffic and tickets, both of which can be horrible ways to start the day. If packing a lunch in the morning seems like it’s adding and extra 30 minutes of stress, try meal prepping the night before. There are easy, time-saving fixes to even the most “simple” things that can add some serious stress to our days. And starting the day off stress-free allows a better opportunity to continue the day without feeling overwhelmed. Have you ever felt like you’ve had a productive day, but then later realized you forgot to accomplish the most important thing on your agenda? If you encounter the scenario often, there’s a good chance you’re frequently stressed out due to haphazardly completing tasks rather than prioritizing them. To-do lists can make it easier to stay on track. There are several ways to create effective to-do lists. Every task you add to your list should be something you truly need to put effort toward on a given day. Include time estimates with every task and give yourself a bit of cushion in case you aren’t as speedy as expected. If you’re juggling several projects at once, try segmenting your to-do lists into categories. You’ll have visual indicators about which are the most involved and might need the most devotion. Mildly stressful matters frequently feel more severe than they are, merely due to racing thoughts and persistent worries. Whenever you’re feeling anxious about something, attempt to temporarily detach yourself from the situation for the purpose of surveying how dire it really is. If you have difficulty achieving that feat, try taking a walk to clear your head. When you move past the immediate anxiety that accompanies something stressful, you can begin to come up with ways to conquer whatever challenge you’re facing. Some people never reach that empowering stage because they dwell on tough scenarios rather than improving their mindsets and changing how they cope with stress. There may be times when you feel everything is out of control, but even then you can change your stress response and avoid impractical, fear-based thoughts. Maybe daily stress gets you down because you’re constantly hard on yourself. Aiming to do your best isn’t necessarily a bad thing, but there’s a fine line between perfectionists and people who internally scold themselves for perceived shortcomings. Making mistakes is part of life, and part of your ongoing learning process. Instead of getting mad about things you seem to have done wrong, work hard to go beyond those issues and seek the valuable aspects of what you’ve experienced. Thanks to that technique, you may feel less stress because you’ll start to cultivate an inner peace to draw upon as needed. Hopefully these strategies help you see there’s no reason to tolerate useless stress in your life. Once you eliminate the unnecessary kind, it’s easier to hold your head high and feel calmer during stressful events that catch you off guard. 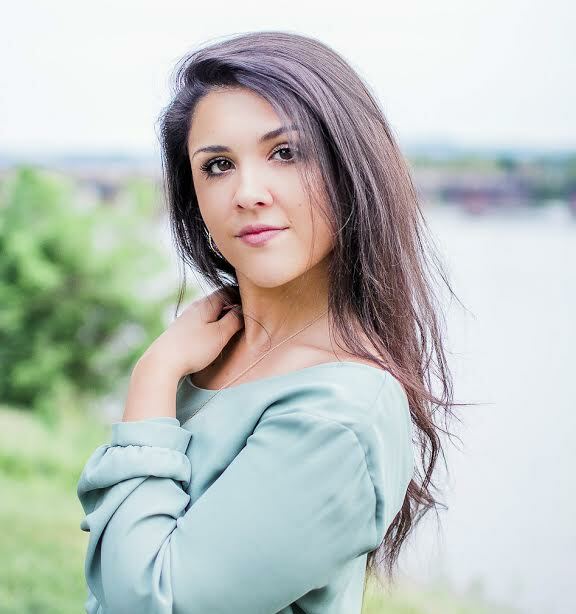 Corinne is a Philly based health and wellness writer, blogger, and life enthusiast. She enjoys coffee, hiking, and a good book. Her life goal is to help others achieve their happiest and healthiest self, something she also works toward everyday.